Lexus unveiled the fifth generation ES luxury sedan in 2006 and has battled it out with the Buick LaCrosse ever since. Now, the sixth generation ES has made its debut at the 2012 New York Auto Show in hopes of getting the upperhand on the LaCrosse. Next to a progressive new design and enhanced handling, the sixth generation ES will be offered for the first time with Lexus Hybrid Drive that offers an incredible 40 mpg. The standard ES350 is powered by a 3.5-liter V6 engine with Dual VVT-i combined with a six-speed automatic driving the front wheels. The exterior design looks similar to the recently announced GS: a new spindle grille, new LED daytime running lights, dual exhaust pipes in the rear bumper, and an integrated spoiler. On the interior, the instrument panel also resembles the one in the GS. 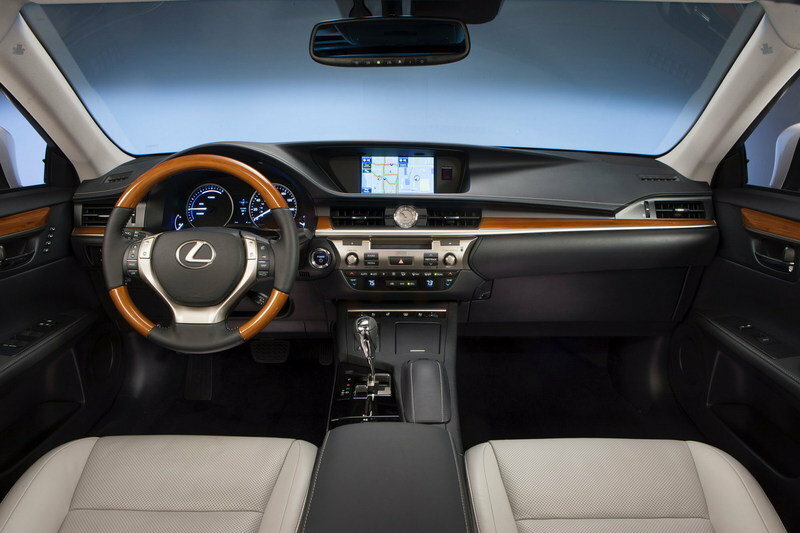 It features a big LCD screen and the Lexus Remote Touch Interface controller. UPDATE 04/05/2012: This review has been updated with the official details and images for the Lexus ES. 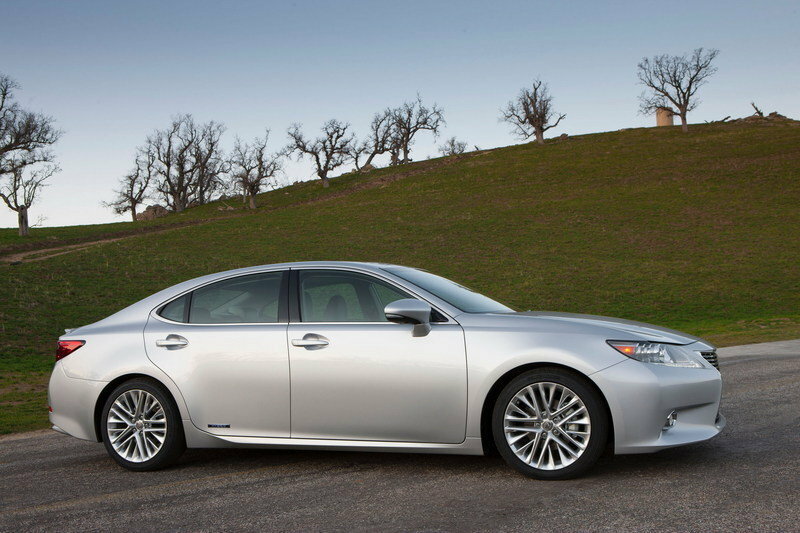 Hit the jump to read more about the 2013 Lexus ES350 and the ES 300h. 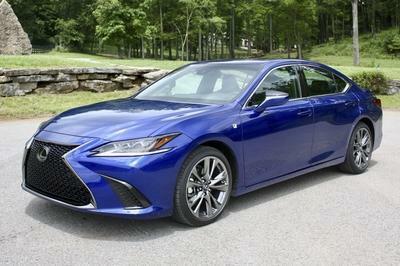 For the sixth generation ES, Lexus is offering a new exterior design with continuous styling lines from front to rear. Up front, the ES has received a new distinctive, spindle grille, and LED daytime running lights, The rear is accentuated with rear lamps in an "L" design motif, hidden exhaust, and an integrated spoiler. 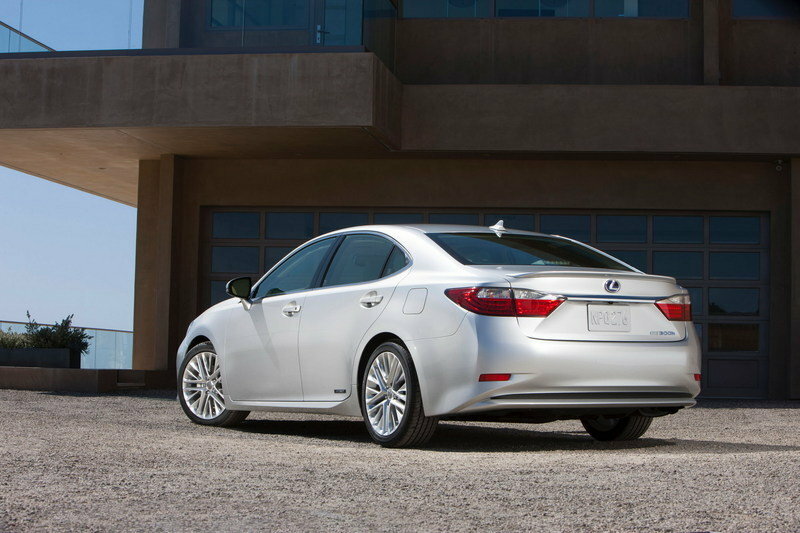 For the 2013 model year, Lexus is offering two new exterior colors: Fire Agate Pearl and Silver Lining Metallic. The Es has grown in dimensions as well. The wheelbase has increased by 1.8 inches and the length by one inch. The new ES will be offered with standard 17" alloy wheels, and for the first time, 18" high-gloss alloy wheels will be offered as an option. For 2013, the ES’ interior gets better quality materials and a new level of luxury. 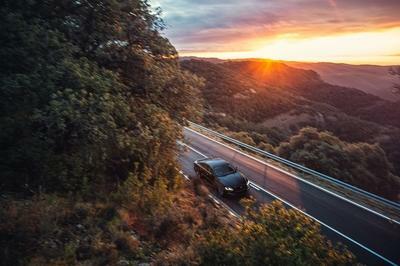 The seats offer improved driving comfort while the steering wheel angle has been reduced from 24 degrees to 22 degrees for a more natural control position. The car also offers improved interior room. The knee room has been increased by 2.8 inches and the legroom by 4.1 inches. The new design also offers additional foot room below the front seats. The cockpit features separate display and operation zones to help keep the driver’s eyes on the road. The instrument panel is similar to the one in the GS and features a big LCD screen, along with the love/hate Lexus Remote Touch Interface controller. The second-generation Remote Touch Interface (RTI) allows the user to operate the climate, audio, phone controls, optional navigation system, and more. 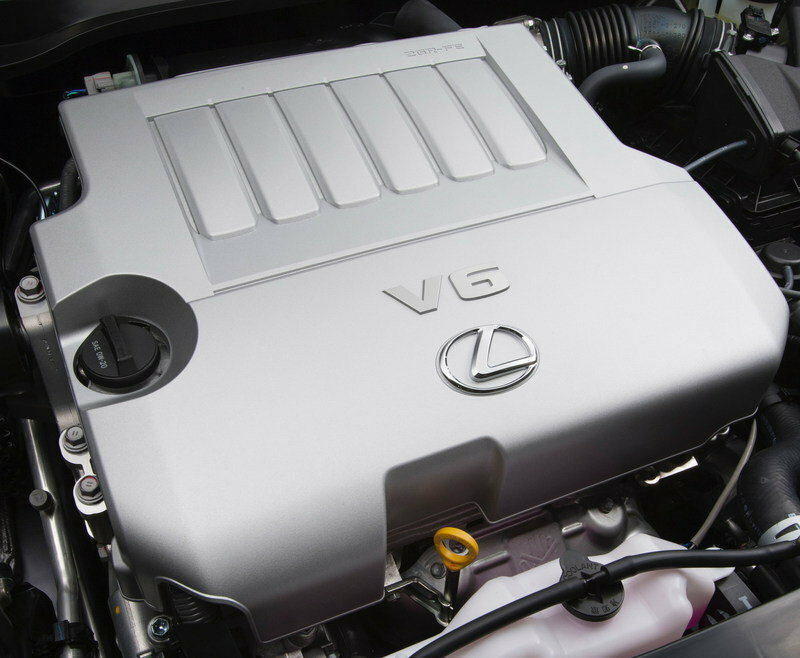 For the first time, the Lexus ES will be offered with a hybrid powertrain. The ES300h features a 2.5-liter four-cylinder Atkinson cycle engine that will deliver an estimated 40 mpg combined city/highway. The ES 300h hybrid offers the driver four modes: Normal, Sport, Eco, and EV. EV mode allows short distance drives, at reduced speed, using only the power from the hybrid battery pack. The standard ES 350 is powered by a 3.5-liter V6 engine with Dual VVT-i combined with a six-speed automatic Electronically Controlled Transmission with intelligence (ECT-i). 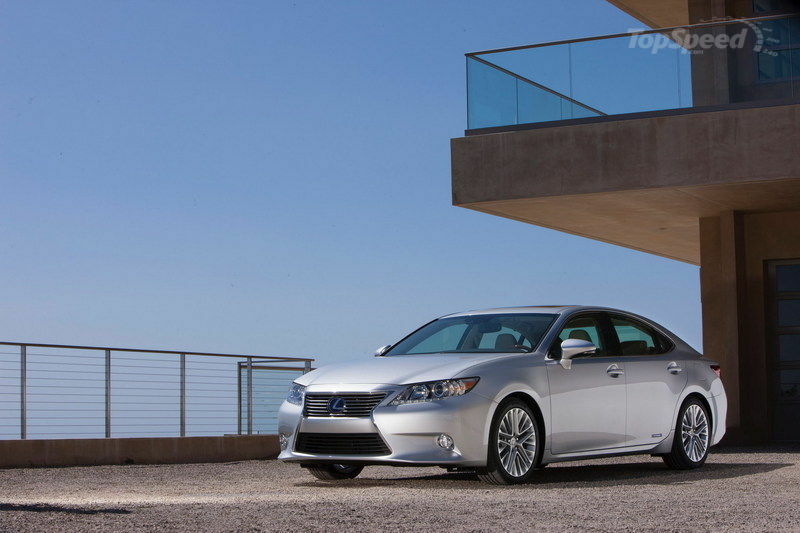 The new Lexus ES will go on sale later in 2012. Prices will be announced at a later date. On the US market, the biggest competitor for the Lexus ES is the Buick LaCrosse. It features a 2.4-liter Ecotec direct injection four-cylinder engine with the Hydra-Matic 6T40 six-speed automatic transmission. An eAssist system offers an impressive fuel economy of 37 miles per gallon on the highway and 25 miles per gallon in the city. Just received my new es350. Must be a great car the es350 and the Hybrid. My son sold 146 last month and 119 this past month. It’s already tough having a V6 engine, but still we need more enhancement on this car. Though it’s using V6 engine, it is still nice that it gives the right performance. Its fuel economy is also noticeable since it has 37 miles per gallon. The interior of this car is simple, but it is nice as it makes it seem elegant. I can say the same for its exterior. How nice! Its engine and features have improved, but its design has remained bland. I don’t get the hype over outdoing other cars. If they want to make a better innovation, I guess they should start working more on brainstorming their next concept. On the other hand, good job trying hard. This is really an awesome car. Lexus standouts in the middle of cargo container vans and with its simplicity on the exterior gives another definition about elegance. By the way, when is the Beijing Motor Show? It’s tagged as a luxury car but I don’t actually see anything so special. I think, to make it into the market worth comparing with other luxury cars, they need to develop more improvements for this one. They need to work more on the features. You must be lucky to see two Lexus park together. It is good that it uses Hybrid Synergy Drive. I know that it is better than Buick LaCrosse. To be true, I’m not a huge Lexus fan,but if Lexus keeps rolling out good looking machines like the sixthe gen ES350,lexus is gonna have another fan on the list. 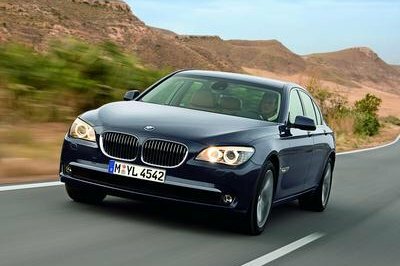 This midsize luxury sport sedan offered a great interior look. The exterior detailing maybe simple but the aggressiveness is still there. This is the best example of the line “simplicity is beauty”. This car looks like a plain to me. It’s very simple. The concept is just the ususal cars. This sedan looks simple to me, looks nothing to me. 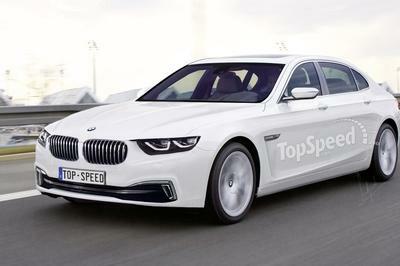 No offense meant, but this is like what other sedans are. Lexus is a good manufacturer, but what happened with this one? I’m not impressed with the design because it is so unusual for me. Looking forward for better designs and a more luxurious one. I love the simplicity of this Lexus ES. It looks plain yet sophisticated and classy. Well, 2013 is gonna be a long wait for this. What is the engine specs of this car? This Lexus ES looks very stunning and professional. 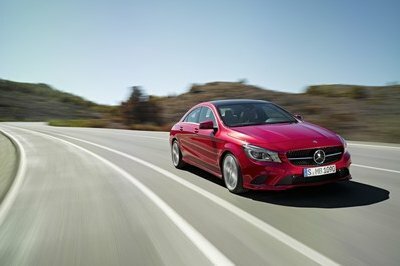 A simple styled sedan that surely can hit the road with so much angst and compete other sedan cars without failing. ES improves a lot with this one. It looks more awesome than before. However, when it comes into exclusivity, I would still prefer to have its competitor than with this one. Moreover, I don’t like the fact that it is a hybrid vehicle.